The measurement of early literacy behaviors is complex and requires a commitment to careful and systematic observation. An Observation Survey of Early Literacy Achievement (Clay, 2002, 2006) provides a systematic way of capturing early reading and writing behaviors and is the primary assessment tool used in Reading Recovery. 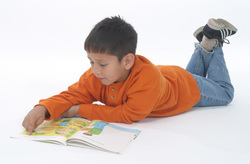 All of the tasks were developed in research studies to assess emergent literacy in young children. What is assessed with the Observation Survey? Determine your students' independent and instructional reading levels. Determine reading placement levels and group students for reading instruction. Select texts that will be productive for student's instruction. Assess the outcomes of teaching. Assess a new student's reading level for independent reading and instruction. Identify students who need intervention. Document student progress across a school year and across grade levels.